I visited Sri Lanka the first time as I attended the Professional Travel Bloggers Association’s conference TBC Asia last month. The conference was organized together with Cinnamon Hotels. 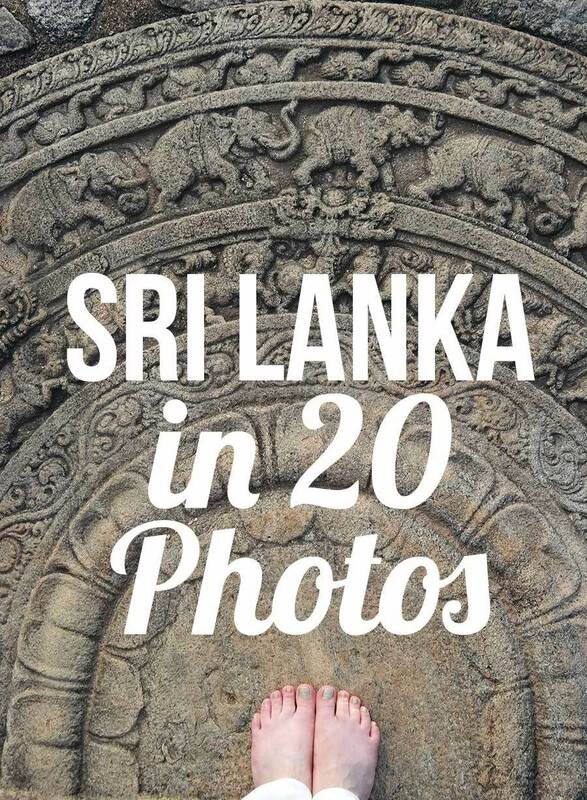 I had heard some much good about Sri Lanka from our Skimbaco Team member Reeta, that I had wanted to go ever since I saw her photos, and heard her stories. Yet, I didn’t really know what to expect, especially because this was only my fourth time in Asia. In many ways my trip exceeded all of my expectations, but I was on an organized blogger trip, and can not say how my experience would have been if I had been there on my own. 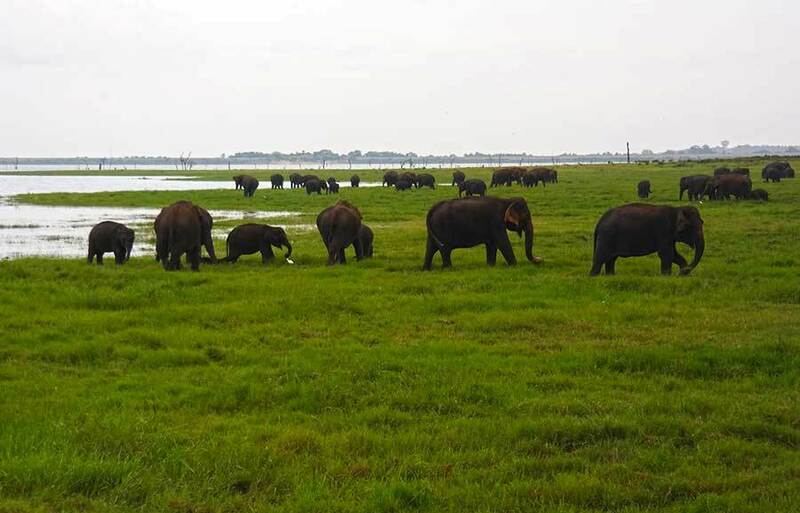 Reeta from our team is a much better person to answer how to plan your own trip to Sri Lanka. Sri Lanka is an island nation, and it would be easy to say it’s the perfect semi-undiscovered exotic beach destination. 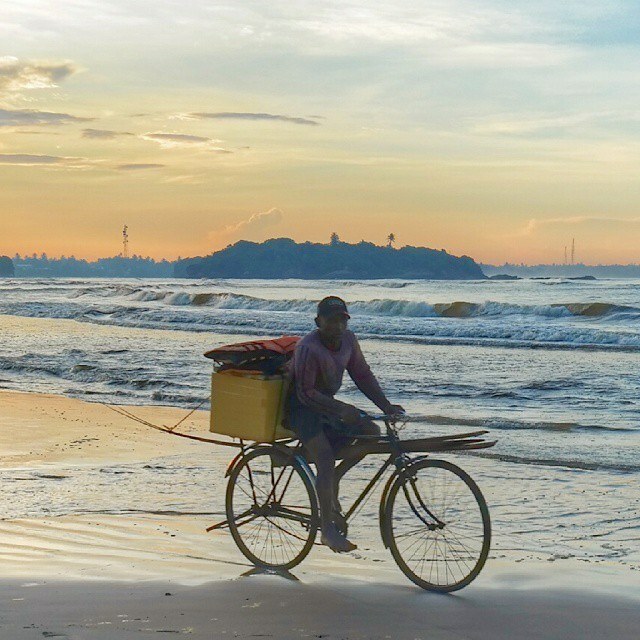 One of my favorite mornings was at the Beruwala beach watching the fishermen going to work, and seeing the people on their morning walks on the beach. On our short trip we visited a few Cinnamon Hotels beach resorts, and every beach I saw was a heaven for beach lovers. Uncrowded, clear blue water (and sky). 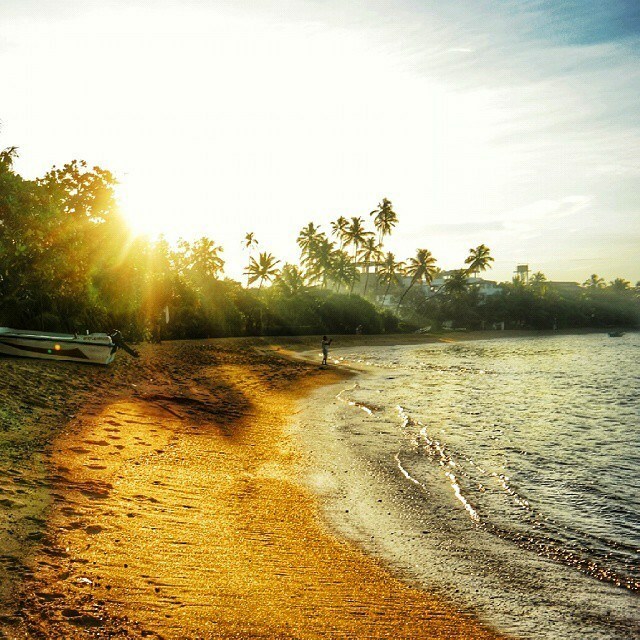 It’s OK to book your trip to Sri Lanka for the beaches – and then fall in love with everything else once you get there! Before you can understand about Sri Lanka’s cultural landscape, you have to have a little bit of understanding of it’s history. 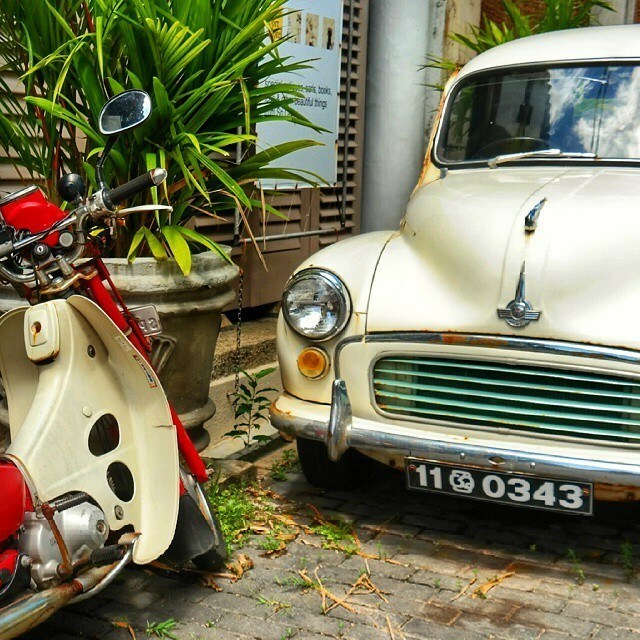 From Portuguese to Dutch to British, Sri Lanka has a colorful colonial history. First Portuguese found the island in 1505 and divided into seven warring kingdoms, and by 1660 the Dutch controlled the whole island except the kingdom of Kandy. In 1802 by the Treaty of Amiens the Dutch part of the island was ceded to Britain, and became a crown colony. The Independence movement in Sri Lanka has been going on since turn of the 20th, and first on 1948 Ceylon was granted independence as the Dominion of Ceylon. Dominion status within the British Commonwealth was retained until May 1972 when it became a republic and was renamed the Republic of Sri Lanka. Sri Lanka had a Civil War as recently as 1983-2009, and the country started significant healing and economical progress after that. From a visitor’s point of view – people were friendly and welcoming, and excited to show off many improvements that had happened in the country after the civil war ended. There was construction everywhere, especially in the nation’s capital Colombo, and you could tell Sri Lanka was going to look a whole lot different in the next couple of years. 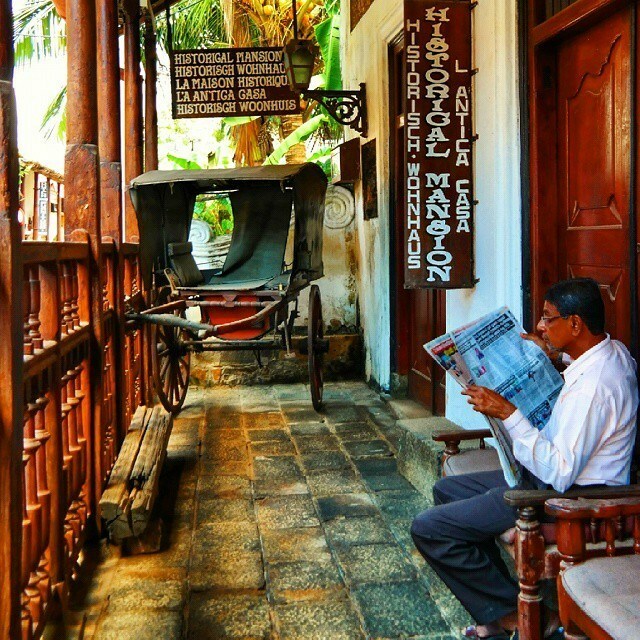 I think when I really understood what the colonial history meant, was when we visited the town of Galle in southwest. The Galle fort is a world heritage site and is the largest remaining fortress in Asia built by European occupiers. 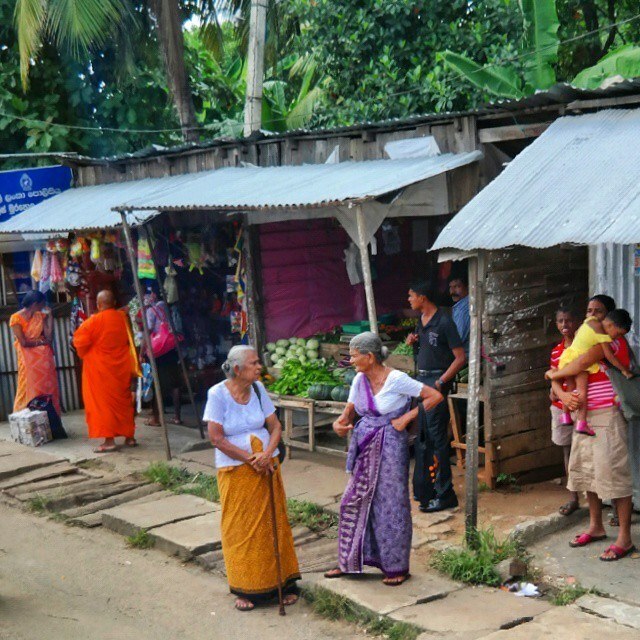 The town still has the 18th century colonial feel, and it was one of my favorite places to visit in Sri Lanka. 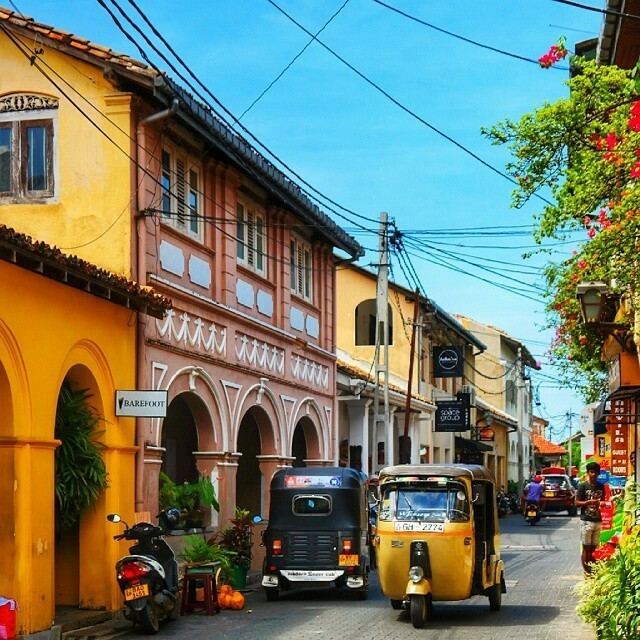 I felt in many ways how the history of the colonial past of Sri Lanka, and the vibrant economically booming future of Sri Lanka intersected in Galle. You get a completely different kind of view of Sri Lanka, in the city of Kandy, the second largest city in Sri Lanka. The Temple of the Tooth Relic (Sri Dalada Maligawa) in Kandy is one of the most sacred places of worship in the Buddhist world, and we saw people coming to the temple from all around the country. The Temple of the Tooth Relicwas declared a world heritage site by UNESCO in 1988. 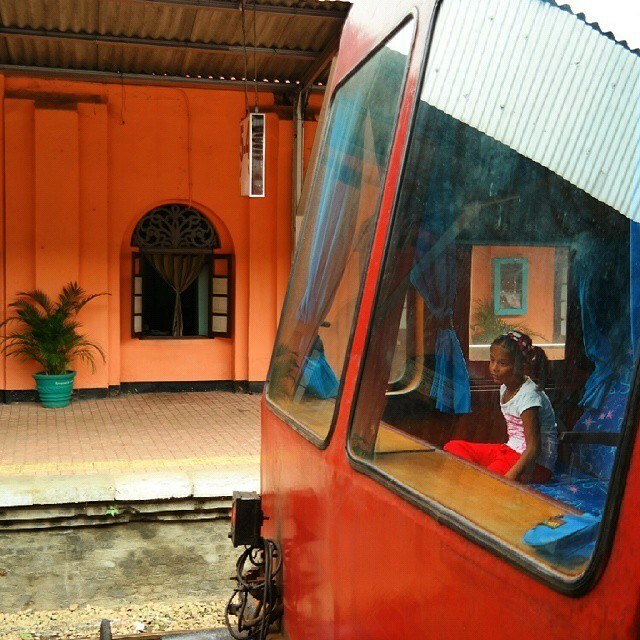 Centrally located Kandy is also a major transportation hub of Sri Lanka, with railway and highways going to all directions, and we also jumped in a train from Kandy. 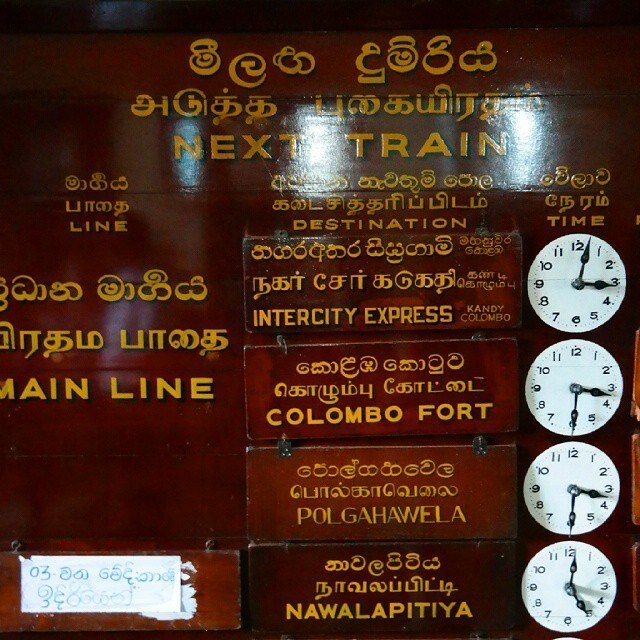 For transportation in Sri Lanka, I would recommend the first class trains, or better yet the CinnamonAir flights within the country. I have already mentioned a few UNESCO World Heritage Sites in Sri Lanka, and Sigiriya in the Central Province is one of the best preserved examples of ancient urban planning and it is the most visited historic site in Sri Lanka. 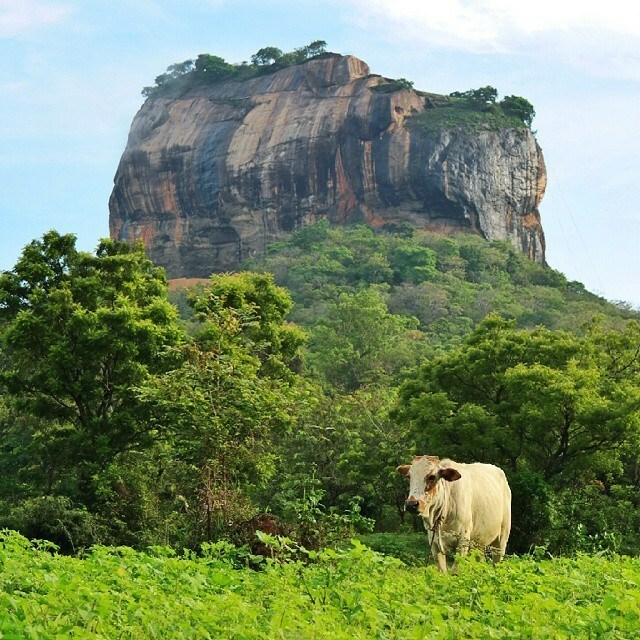 The Sigiriya or Lion Rock, is 200-meter-tall rock with a story to tell. 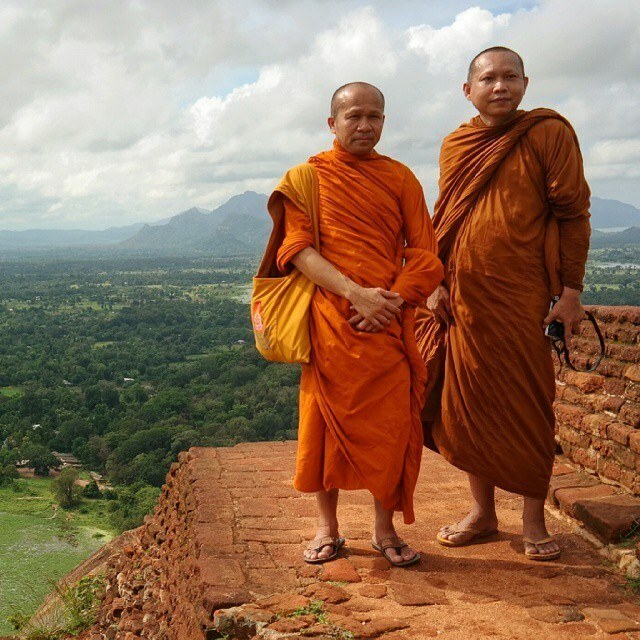 On the top of the rock used to stand a palace built by King Kasyapa (477 – 495 AD), son of Dhatusena, who came to power after he got his father killed, and seized the throne from his brother. Fearing that his brother would take the throne, he fortified his palace on the top. The giant rock had moats with crocodiles around it, and it was difficult to access the top. 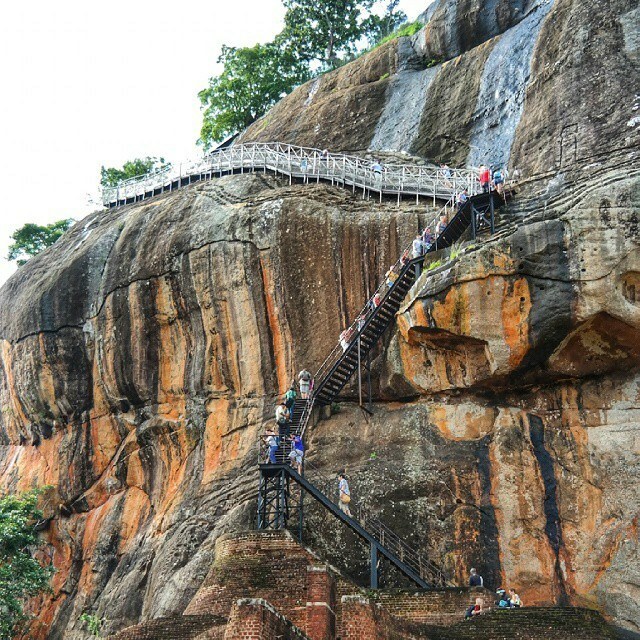 (Today you can climb over 1000 stairs leading to the top – what a work out!). His brother finally conquered the palace and converted Sigiriya into a monastery complex. In addition to the ancient and colonial history and its amazing stories you can learn in Sri Lanka, I fell in love with the nature. One of my favorite nature experiences was witnessing the elephant gathering in the Kaudulla National Park. 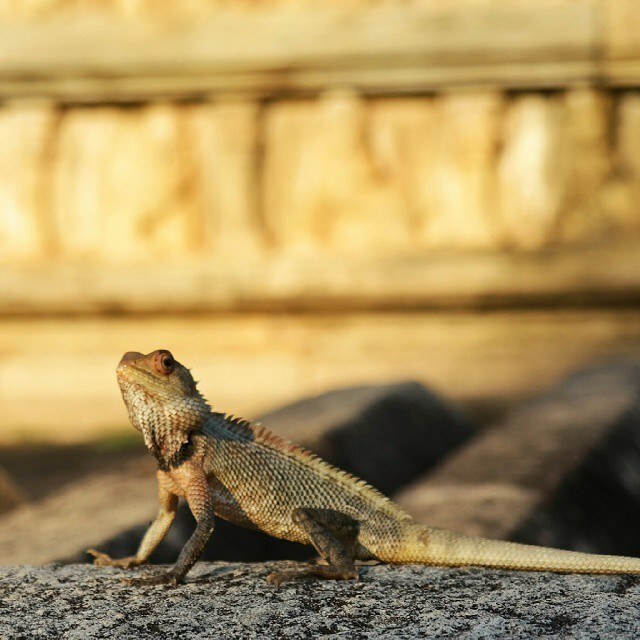 Of course, you can’t visit Sri Lanka without seeing exotic lizards, monkeys, and even their squirrels are quite exotic! 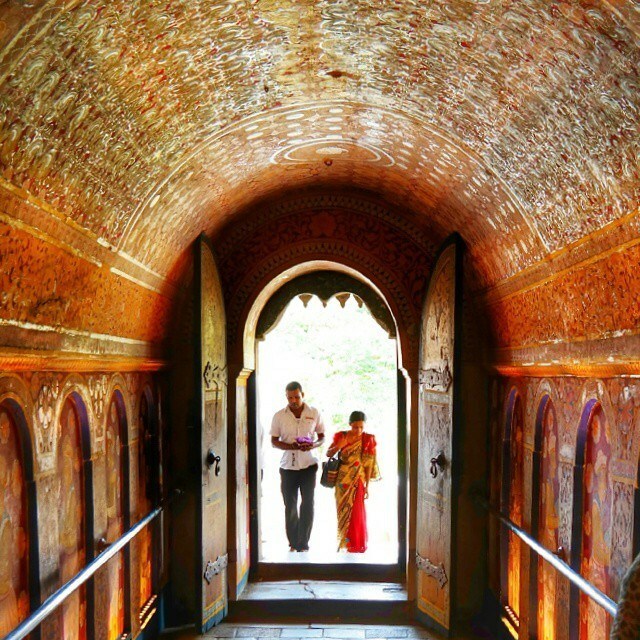 Speaking of exotic, you could spend weeks in Sri Lanka learning and discovering all of it’s history and stories. 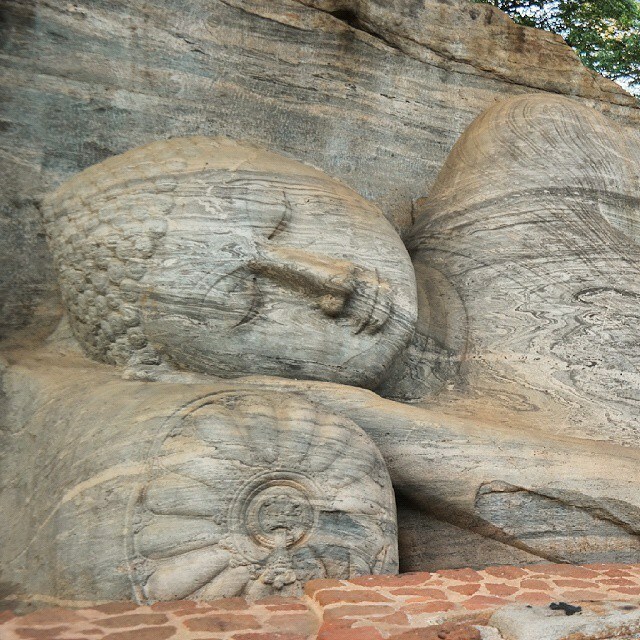 The ancient city of Polonnaruwa is one of the best planned Archeological relic sites in Sri Lanka. Polonnaruwa is another UNESCO site, it has the Brahmanic monuments built by the Cholas, the monumental ruins of the fabulous garden-city created by Parakramabahu I in the 12th century. Families from all around Sri Lanka also gathered here to pay respect and pray. 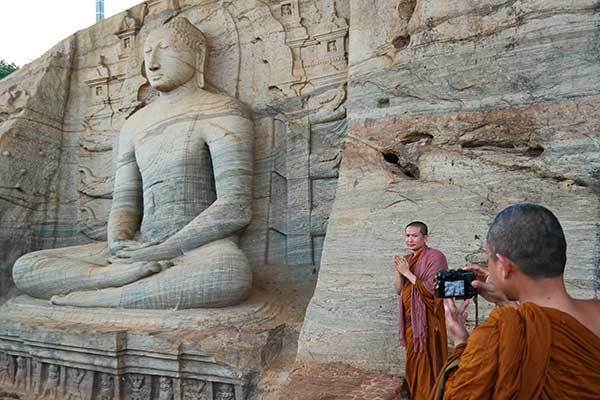 You can see the Hindu influence in Polonnaruwa and dind the Temples of Shiva, statues of Hindu Gods, and the Buddhist temples, the Lankatileka and Watadage, the Galpotha, the Lotus bath, the Kiri Vihare Dagoba and the remains of a former Temple of the Tooth. I is an impressive ancient city, and we rode bikes around it to get from a temple to another. 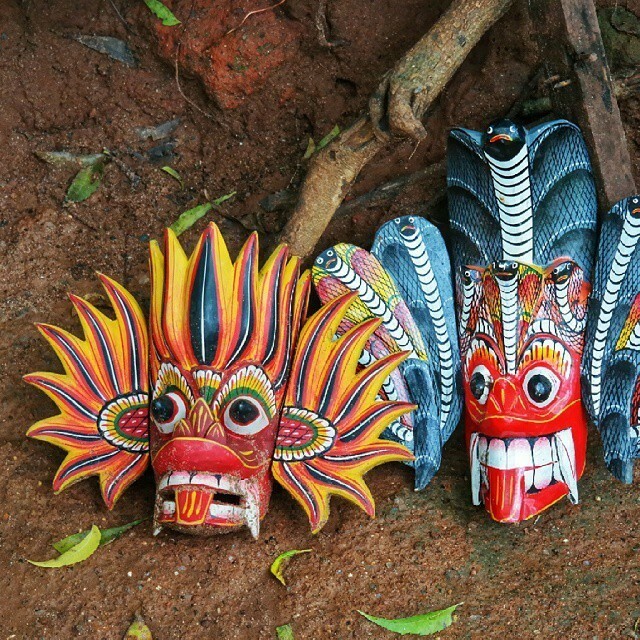 And when speaking of Sri Lankan culture, I have to mention the Sri Lankan masks, which are used by the dancers in multiple different national dances. We saw many different kind of dances in Sri Lanka, all of them had a story to tell. Our trip was sponsored by Cinnamon Hotels, and during our stay we visited several of their hotels, sometimes just for a quick lunch, and overnights of course. 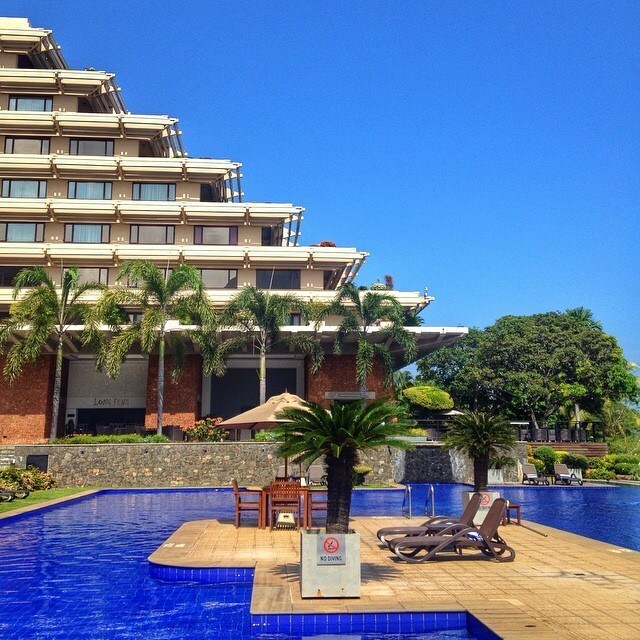 If you are heading to Sri Lanka, I would recommend checking the Cinnamon Hotels out. The conference itself was at Cinnamon Lakeside in Colombo. 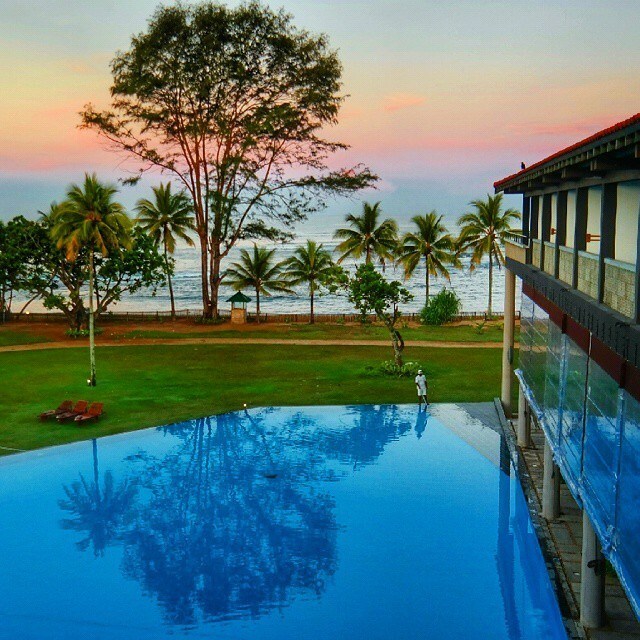 My favorite hotel was the Cinnamon Bey in Beruwala, and I really liked the Chaaya hotel properties we visited. It’s another hotel brand owned by Cinnamon Hotels. I especially would recommend checking them out for beach resorts. 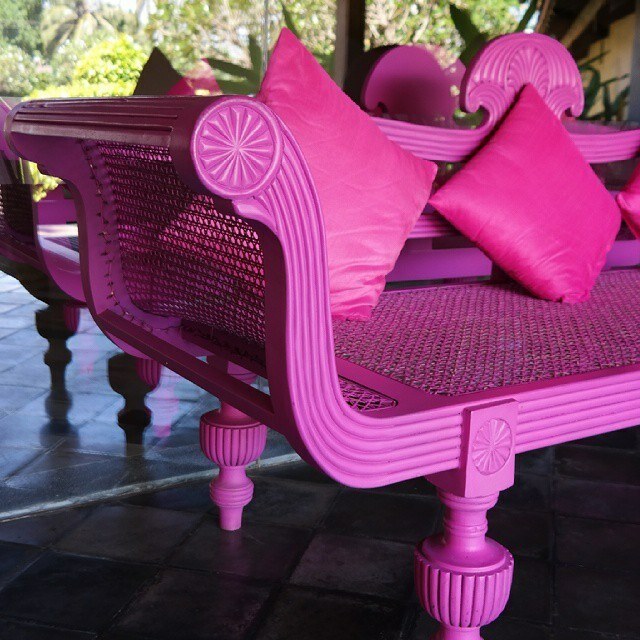 In addition I also got interior design inspiration from Sri Lanka, including from the well-decorated hotels – stay tuned for more home decorating inspiration I picked up from my trips to Asia! You seem had a great time in Sri Lanka.. I keep hearing such wonderful things about Sri Lanka – and these gorgeous photos make it extra-enticing. Thank you! These are beautiful photos, Kajta. Just gorgeous. What an interesting place–there are so many different features shown in the photos! I see the wildlife and think it looks so remote…then the streets and see the culture. You have such an eye for beautiful things. These pictures are amazing and tell such a rich story. I feel like I was right there walking through Sri Lanka with you, thanks for the tour! So glad to have shared such an special trip with you and looking forward to crossing paths again soon! !